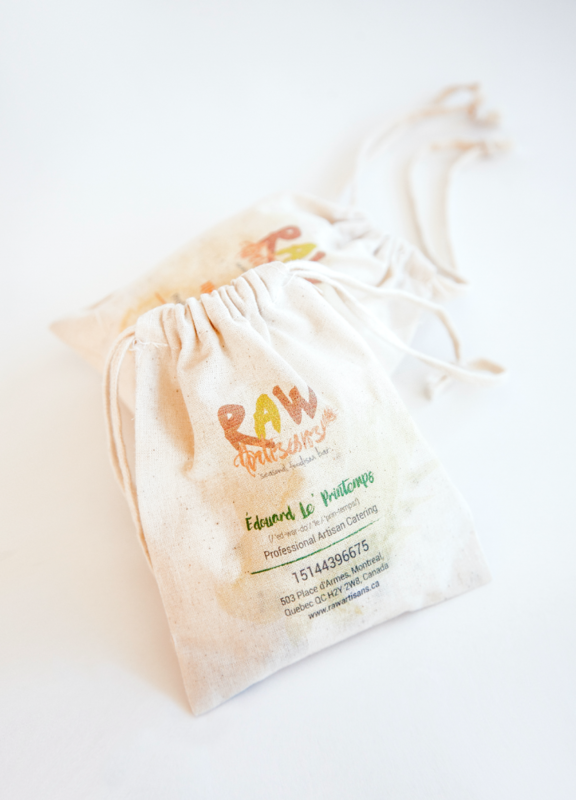 “Raw Artisans” is a French inspired raw diet bar located in Montreal, Quebec. It offers raw fruits, vegetables, and grains based on the idea that cooking food destroys its nutrients and natural enzymes. The bar features seasonal foods that rotate throughout the year and are used by four artisan chefs who want to share their healthy diet recipes. The deliverable was to create the brand identity for the store by designing an original logo, a series of package designs and a menu. 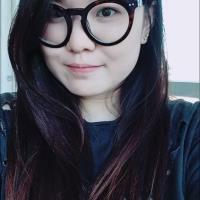 The conceptual rationale behind this project is to promote people being more social at the table. The chefs came up with the idea of painting at one’s own table while dining, hoping to build close relationships with friends and families. 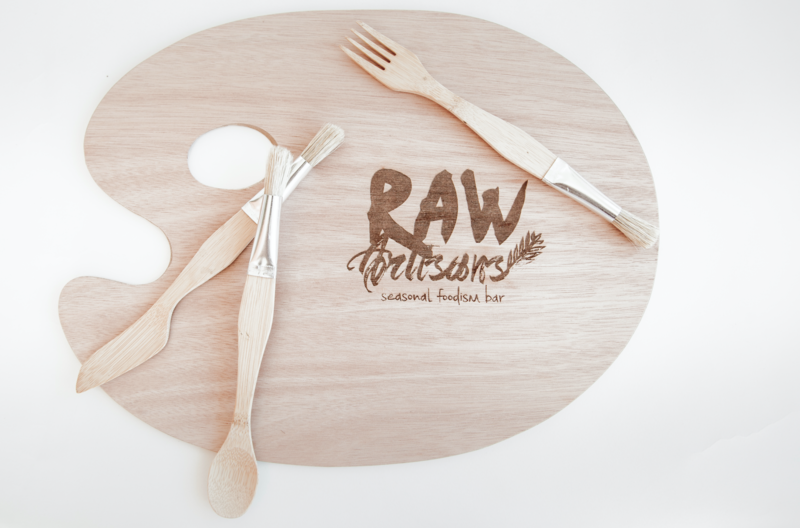 The “Raw Artisans” logo was constructed in a rough paint brush style to capture the motion of the chefs at work. 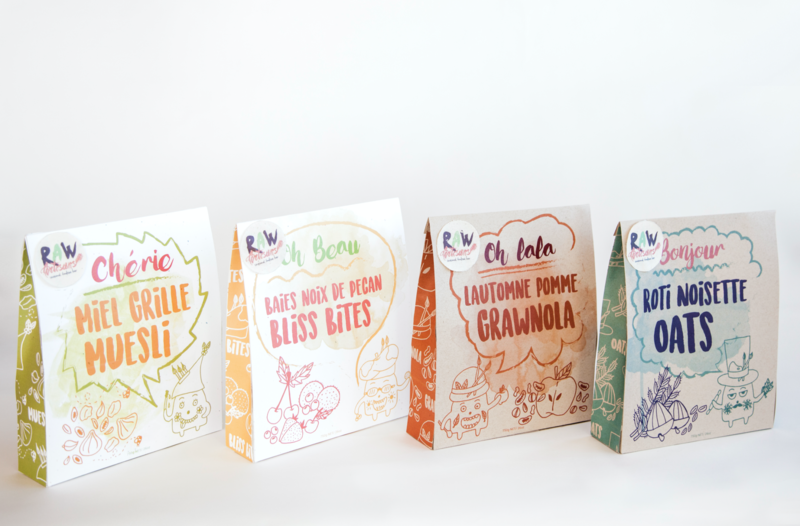 The brand incorporates colours that represent the four seasons with the quirky illustration of each character depicting the chef’s personality as an artist. 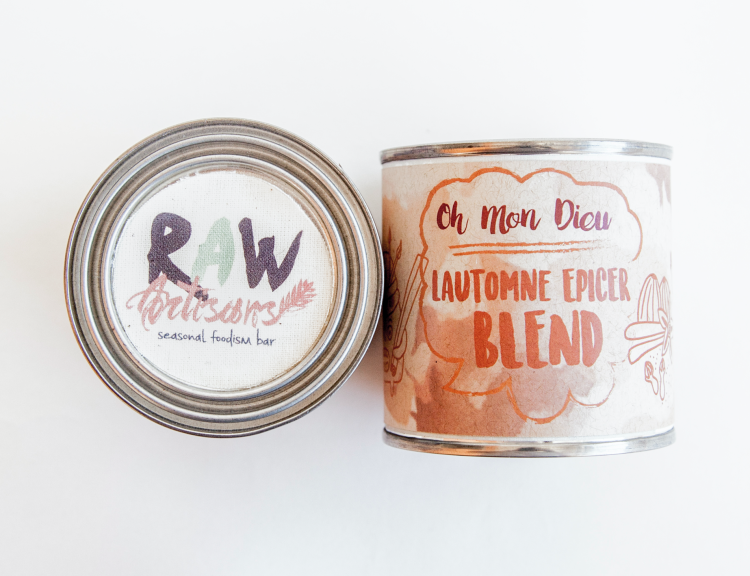 The design uses a watercolor splash texture which mimics the extraction of natural juices from raw foods. A bright colour palette gives an ‘organic’ and ‘fresh’ look and feel to the piece.